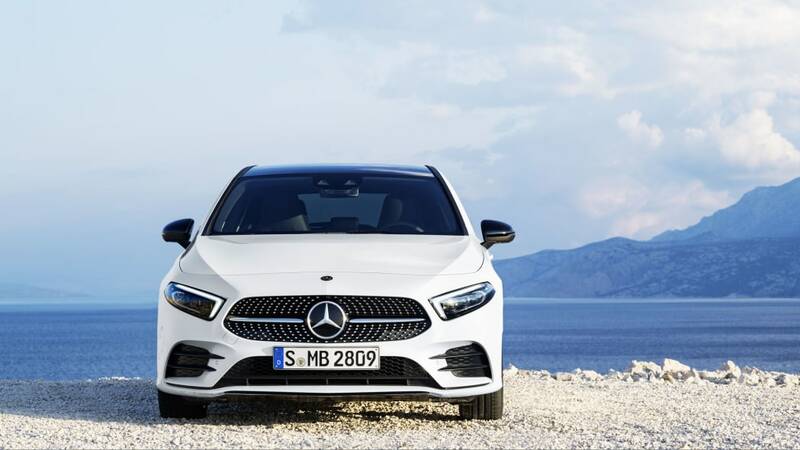 Americans won't get this hatchback, but we're looking forward to the MBUX system in other variants. 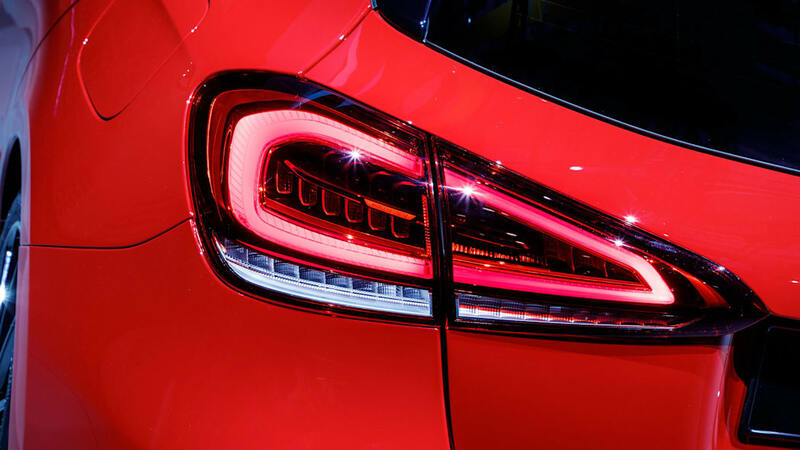 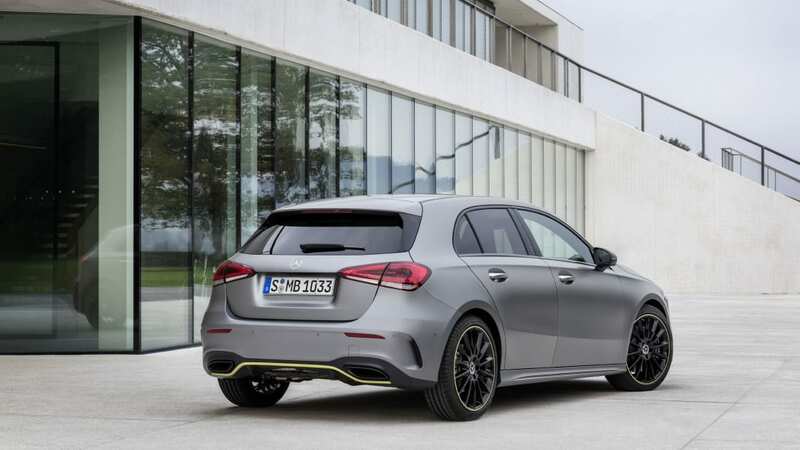 A few days ago, we showed you a thinly-obscured "teaser" shot of the Mercedes-Benz A-Class that didn't leave much to the imagination. 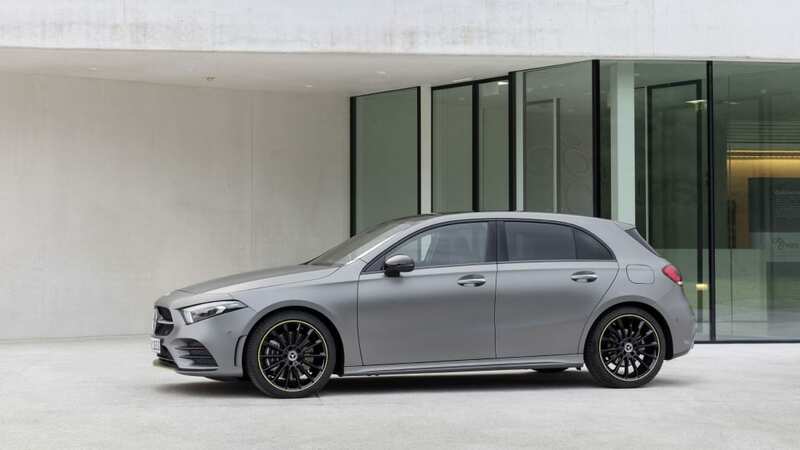 We'd already seen the interior well before that, and it looked sharp. 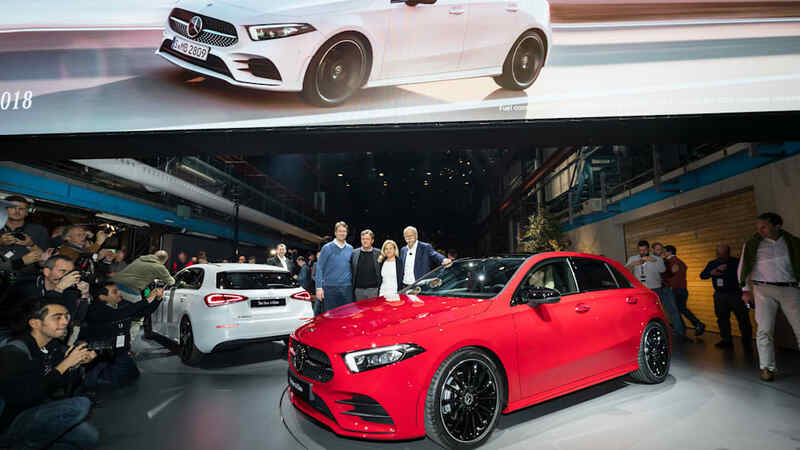 Now, as promised, the company has shown the production 2019 A-Class in Amsterdam, and it marks the debut of the interestingly named MBUX infotainment system. 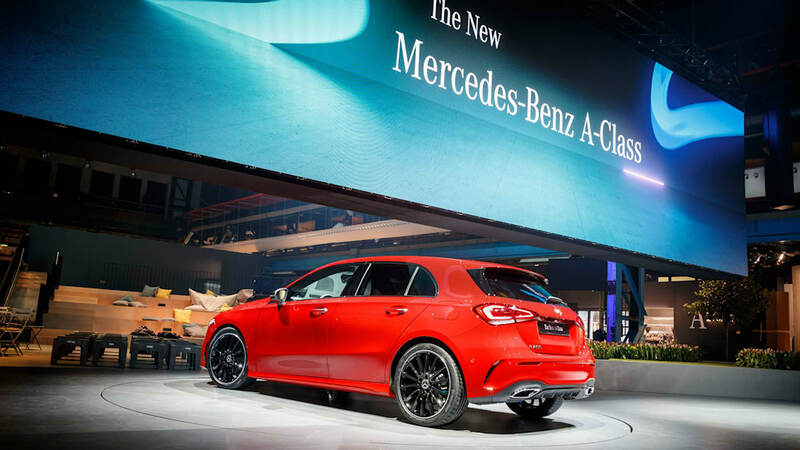 Mercedes says the A-Class represents an evolution of its evocatively-named "Sensual Purity" design language. 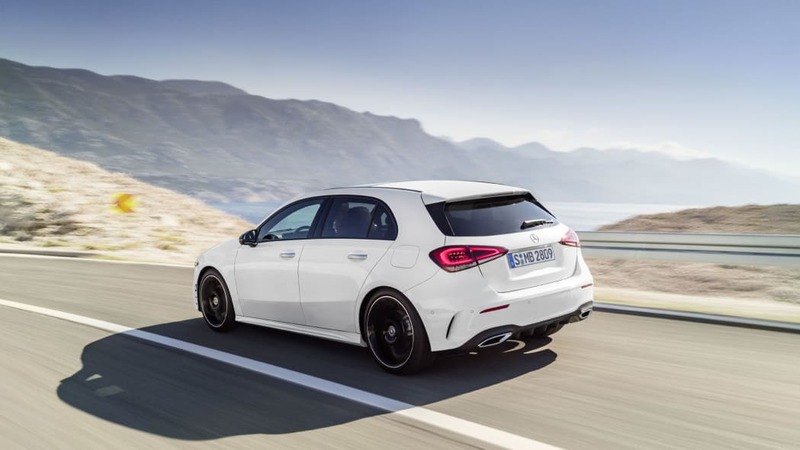 It's handsome enough, blending some D-pillar lines we're more familiar with on the Volkswagen Golf with elements that are unmistakably Mercedes. 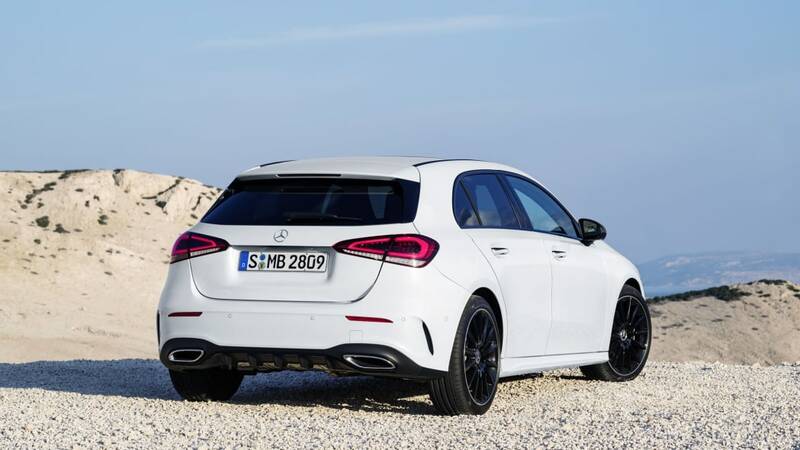 To American eyes, this hatchback would probably be better described as understated than sensual, and the rear end is especially plain. 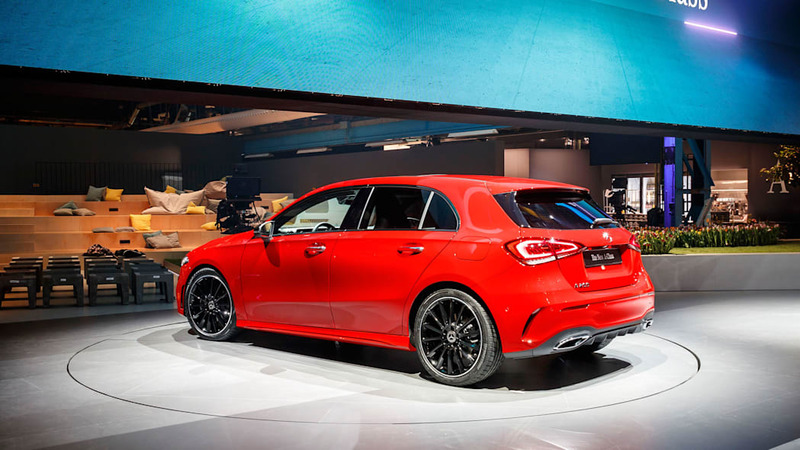 But we won't get this hatchback at all, so that's a bit academic. 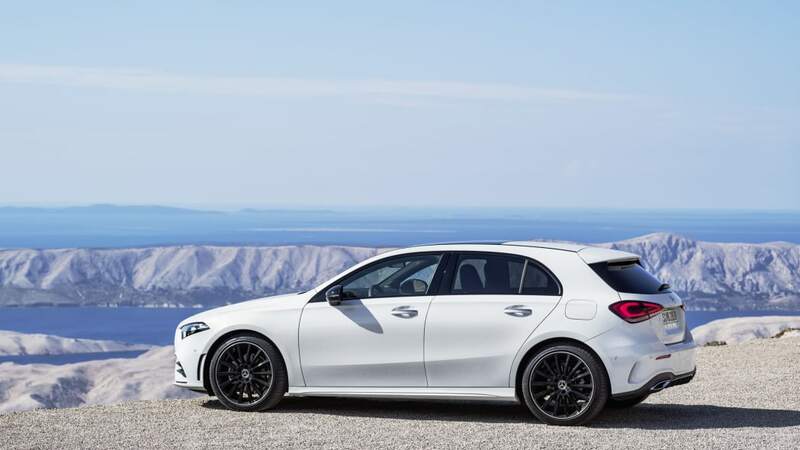 What we will get are a family of vehicles based on this platform: another CLA and GLA, and a new A sedan. 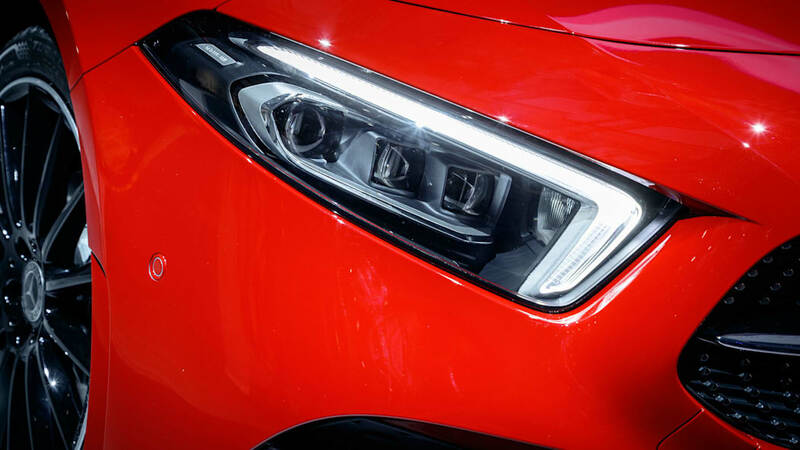 There is even a rumored GLB boxy crossover, as we've seen in spy shots, although it doesn't officially have a name yet. 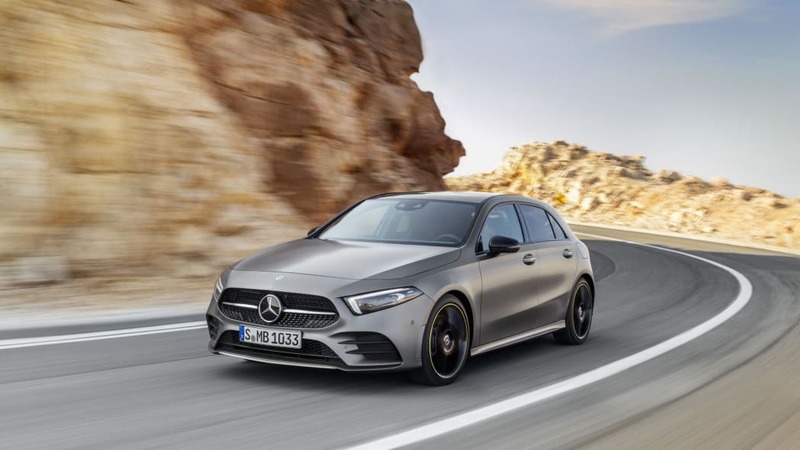 While in Europe a range of diesel engines will be available, we're most likely to get the 2.0-liter turbocharged inline-four paired to the company's seven-speed dual-clutch transmission. 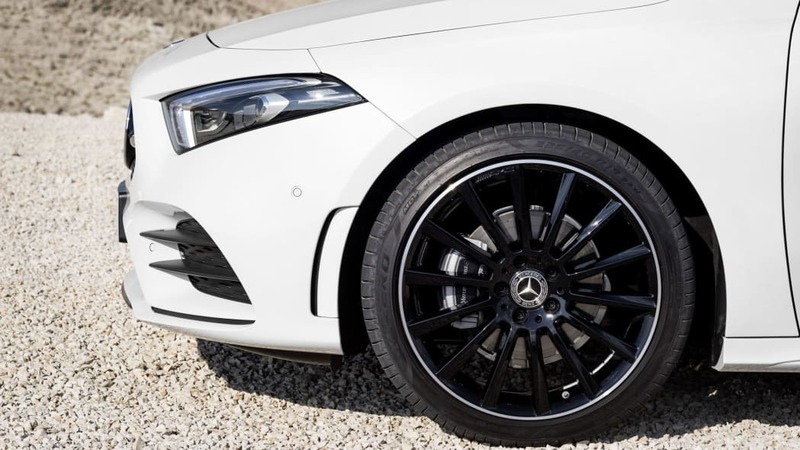 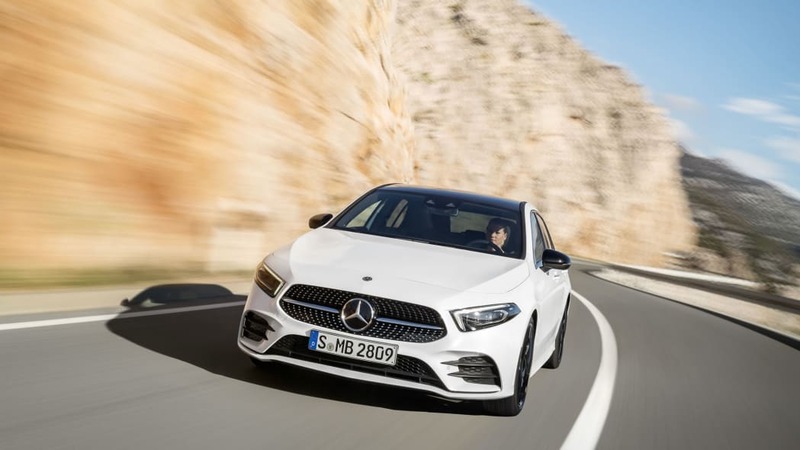 4Matic all-wheel drive is optional in Europe and will likely be an option on most of the A-Class-based vehicles in the U.S.. 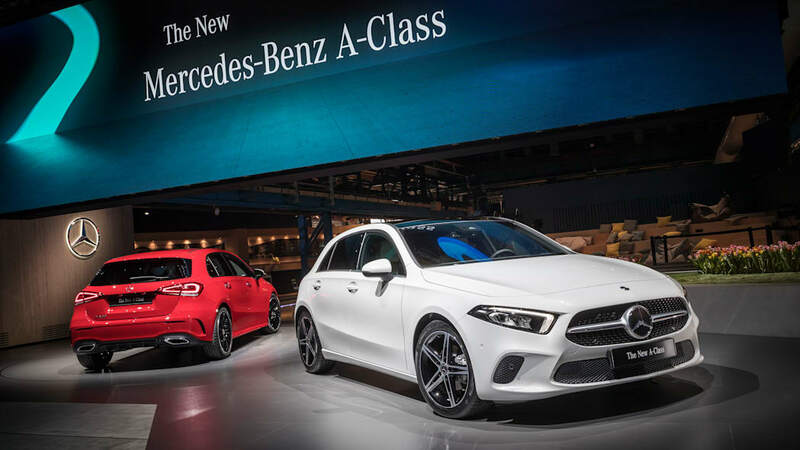 Suspension is MacPherson up front, and while entry-level models will have a rear torsion beam, more powerful or all-wheel-drive models will get four-link in the rear — either way, fairly standard stuff. 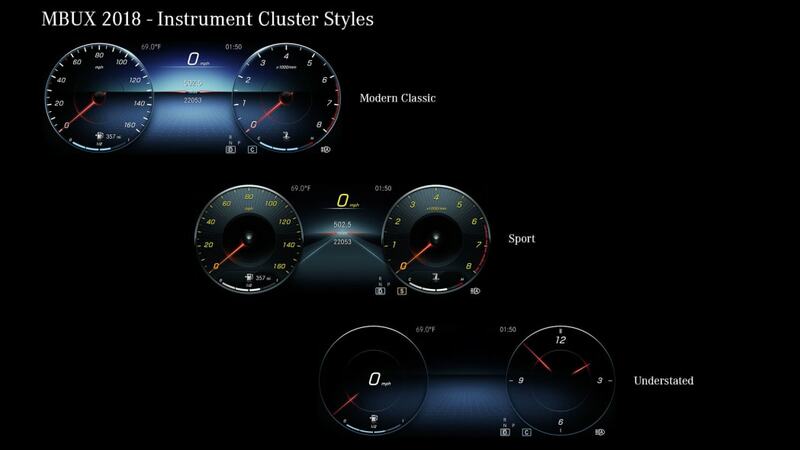 Active damping control is available on some versions. 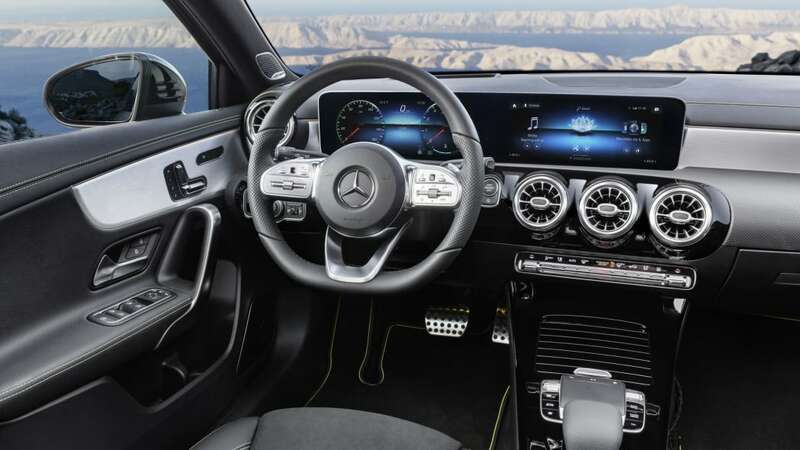 Where things get really exciting is the interior. 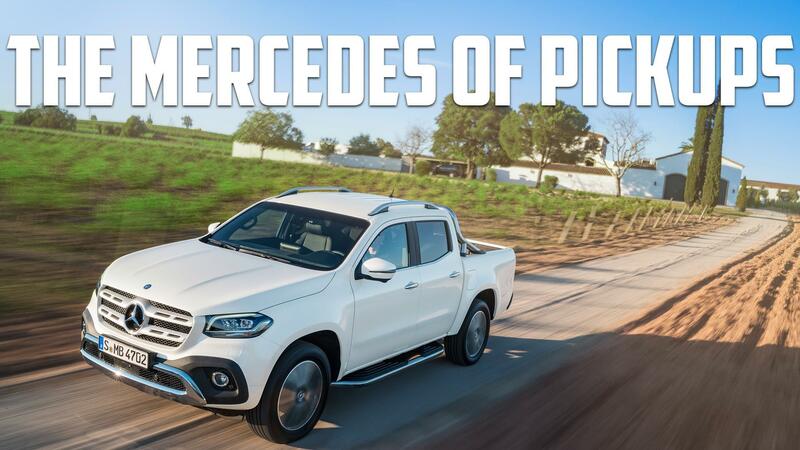 It looks much more like its bigger, more expensive stablemates than an entry-level Mercedes. 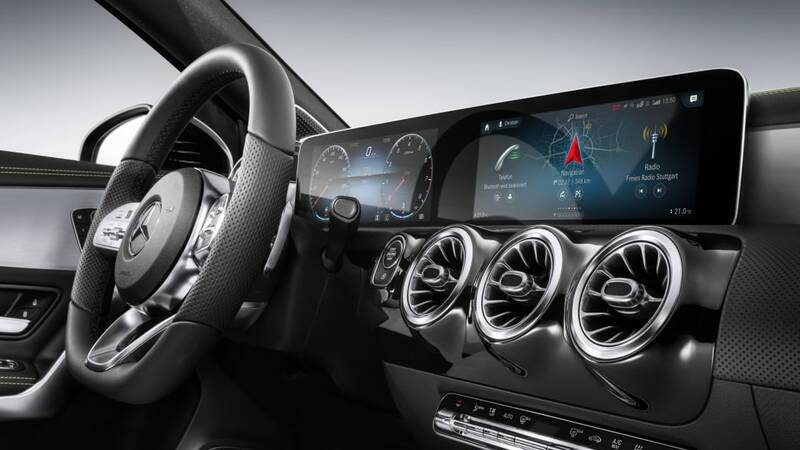 The twin, freestanding LCD screens look positively gorgeous, although the complete effect of the MBUX-equipped A-Class interior is a bit busy. 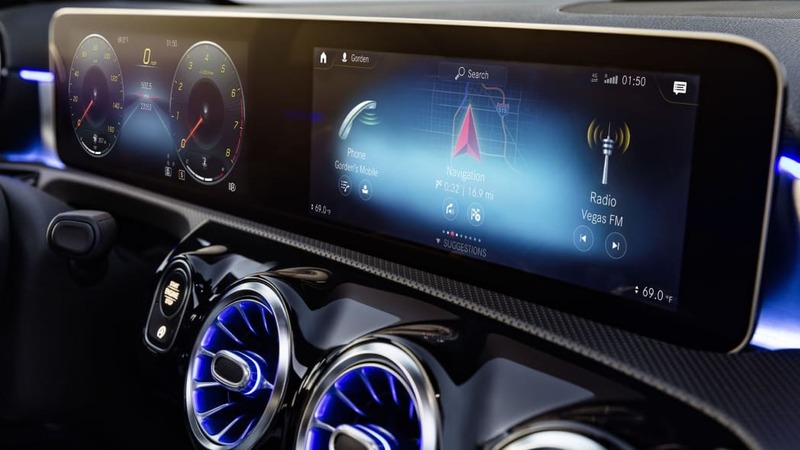 There will almost certainly be bargain-basement A-Classes that are not equipped with this dashboard, but it's too early to say which A-Class variants will get it, and in what trims, in the U.S. 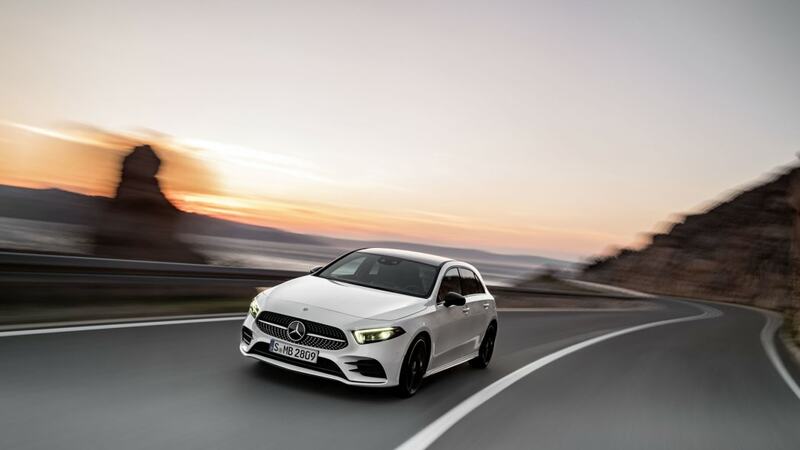 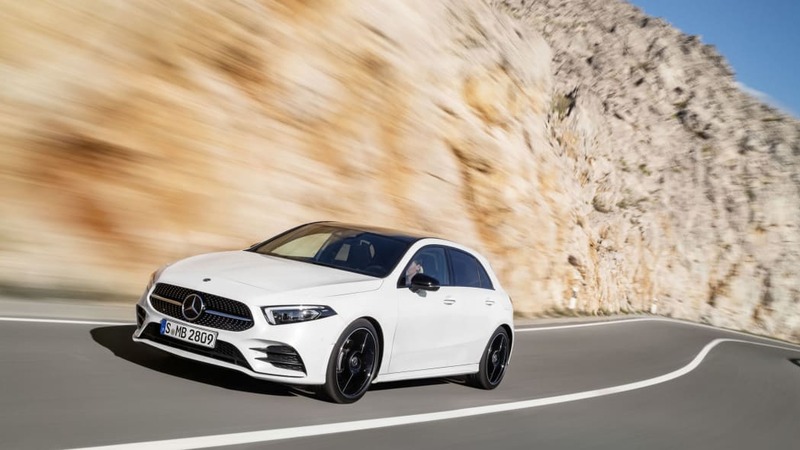 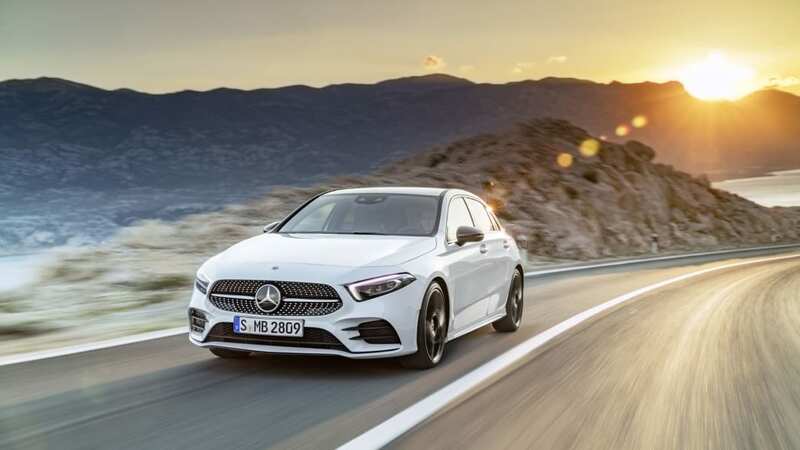 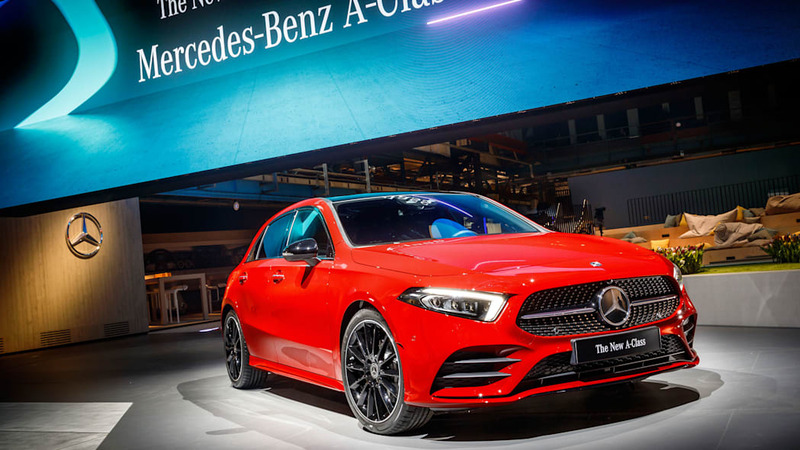 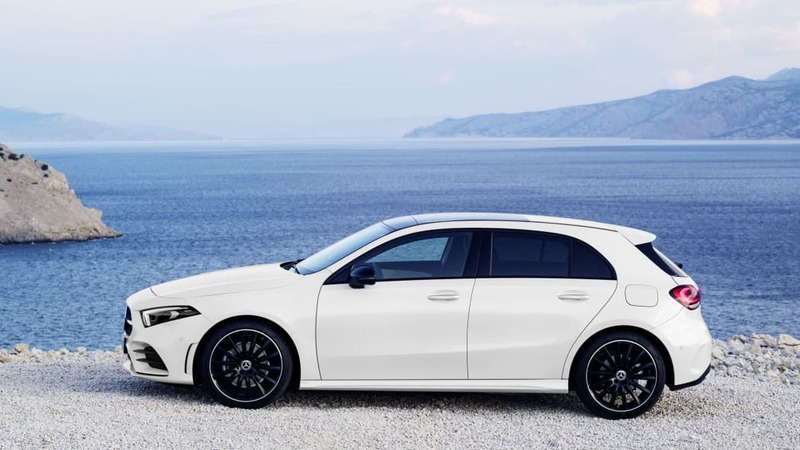 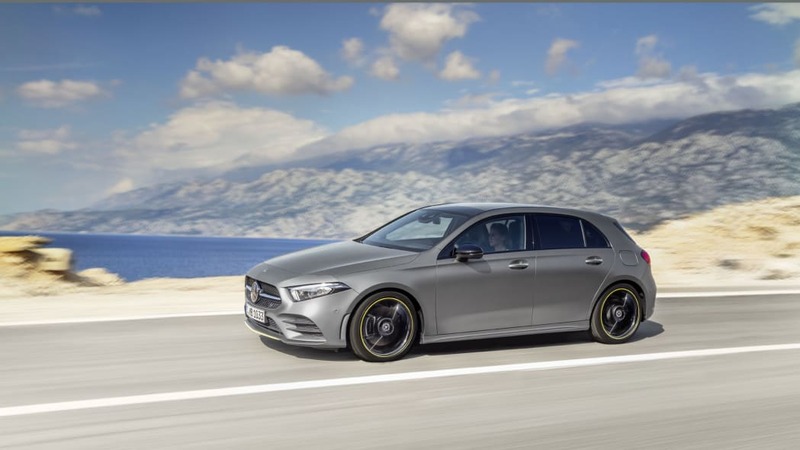 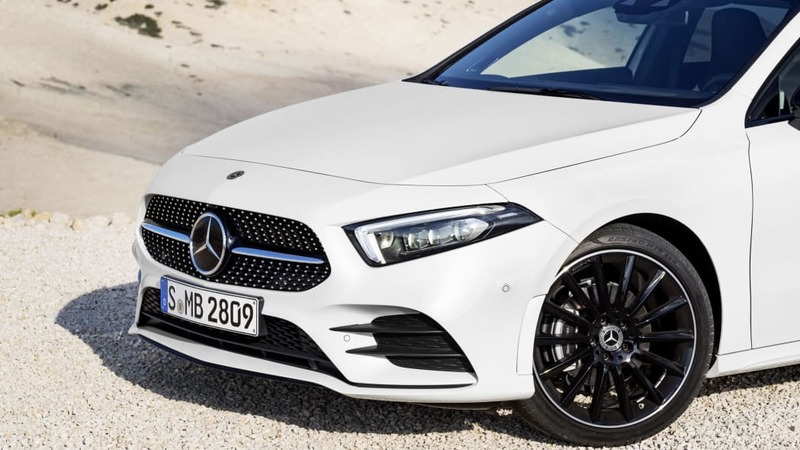 The A-Class hatchback itself might not be of terrible interest to Americans (although Canadians will be able to buy one), but we're excited to see what vehicles it'll spawn and if AMG will get involved. 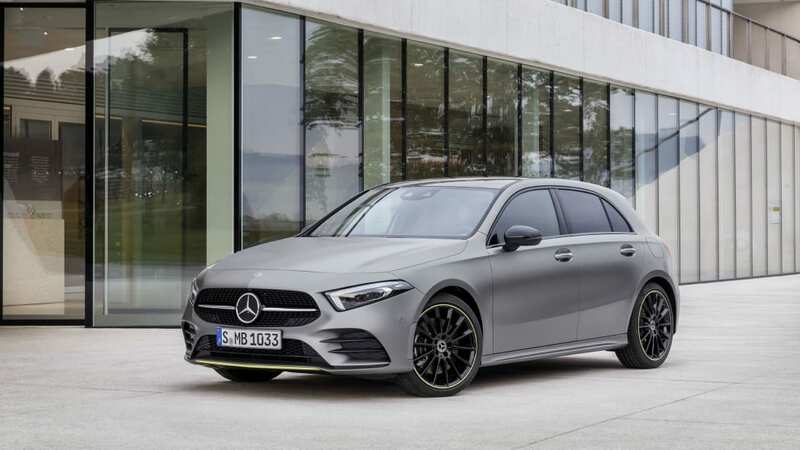 Spoiler alert: Of course they will. 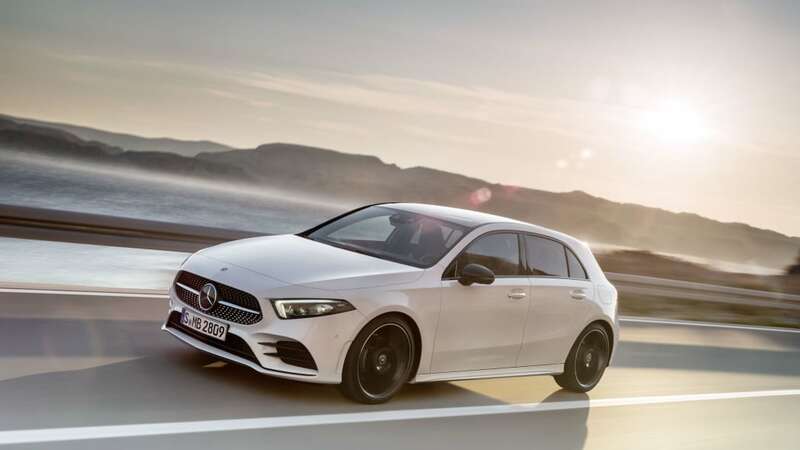 In the meantime, if you're in Europe you can buy most versions of the 2019 A-Class starting in March.